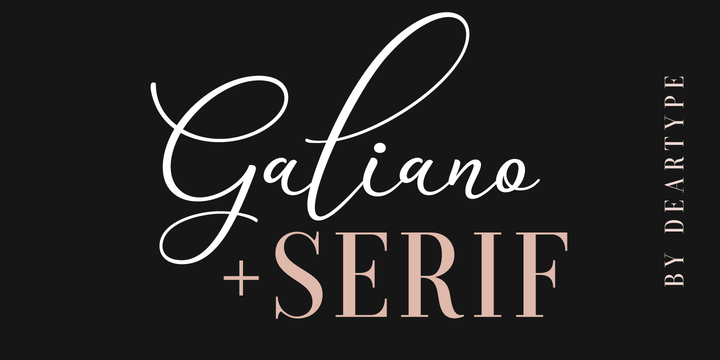 Galiano is a handwritten typeface created by Veneta Rangelova and published by DearType which is available in 12 weights, over 1500 glyphs, lots of ligatures and alternates, a set of 80 ornaments, and multilingual support. This elegant, versatile font is suitable for any kind of project, such as invitation, logo, magazine, editorial use, fashion, wedding but also on web. Have fun! A font description published on Monday, January 8th, 2018 in DearType, Fonts, Veneta Rangelova by Alexandra that has 3,446 views.